It is hard to believe it has been 2 weeks since our last post. So much and so little has happened…. I think we are beginning to feel like we are really living this lifestyle and not simply on vacation. 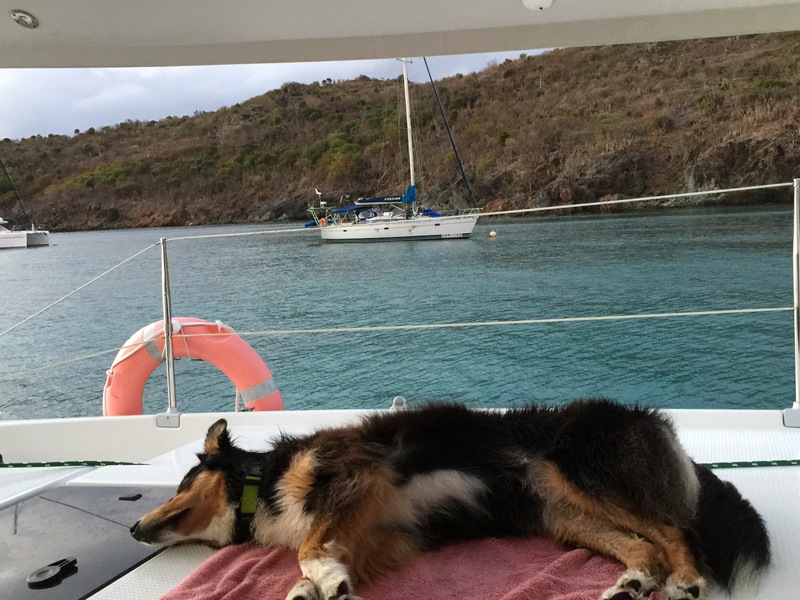 We had a reasonably good passage from the BVIs to St. Martin, but we were both happy to arrive and have that passage finished before the Christmas winds kicked in. 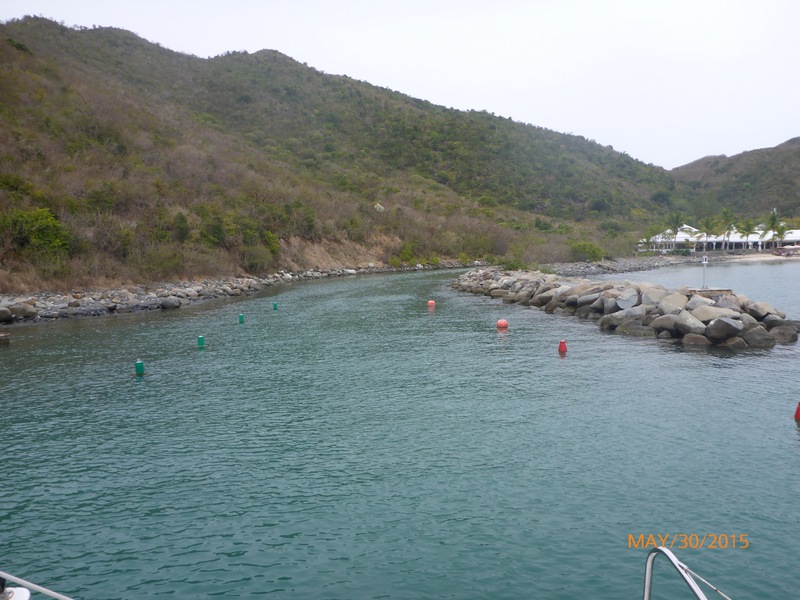 The wind eased a bit so we left The North Sound, BVI on December 15th around 1 pm. The wind was mostly on our nose, but we managed to motor sail for the first 5 hours. 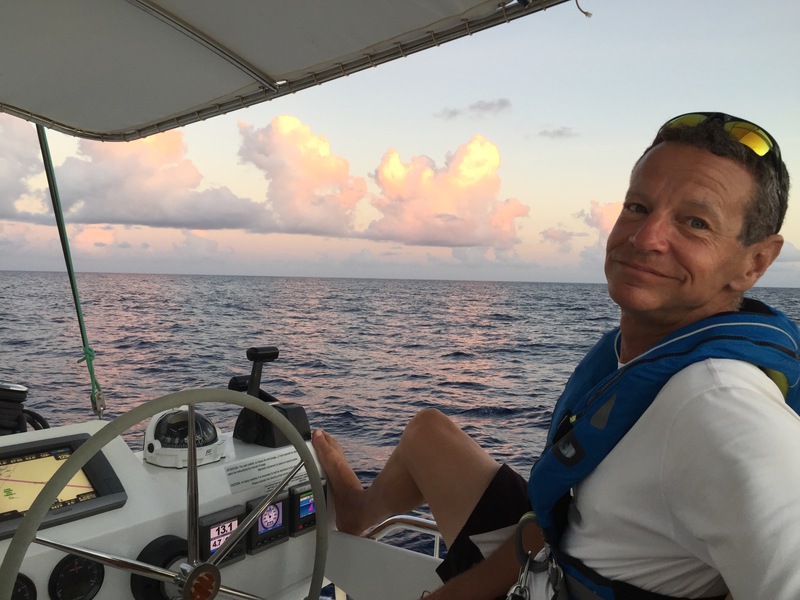 Around 4:30 pm we reefed our sails as we saw a rain storm heading our way. Sure enough the wind kicked up to a brusque pace and the rain absolutely dumped on LIB. But only for about 10 minutes. Boy were we happy to have the helm enclosure we added back in September! 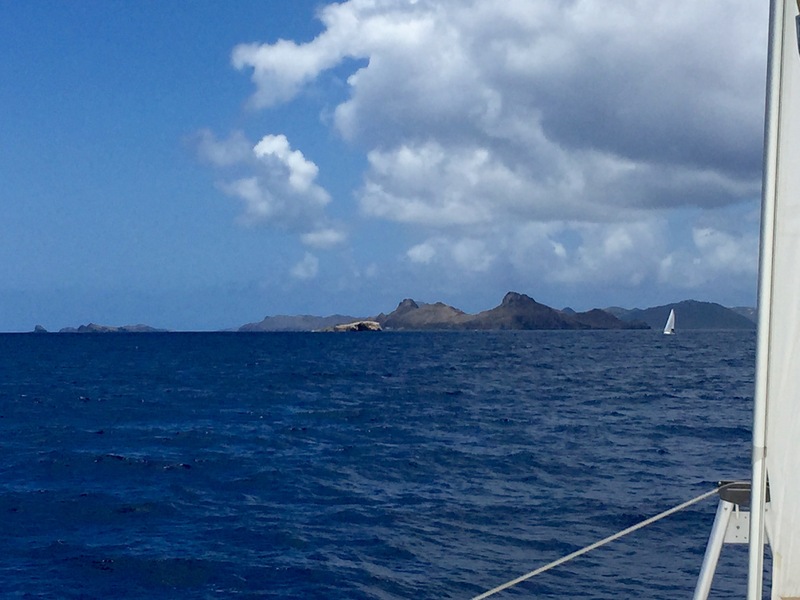 The rain storm brought a temporary change of wind direction and we were able to actually sail directly toward St. Martin for about 45 minutes. That was nice, but short lived. As night was falling, the wind turned again and hit us head on. I voted to drop sails and motor through the night rather than sail at such a tight wind angle. Frank kindly agreed. We probably would have had better boat motion if we had continued to sail. By falling off the wind and tacking a time or two the passage would have taken longer, but may have been a more pleasant ride. Still, we arrived safely in SXM around 9:30 am and I appreciated Frank’s lowering of the sails. 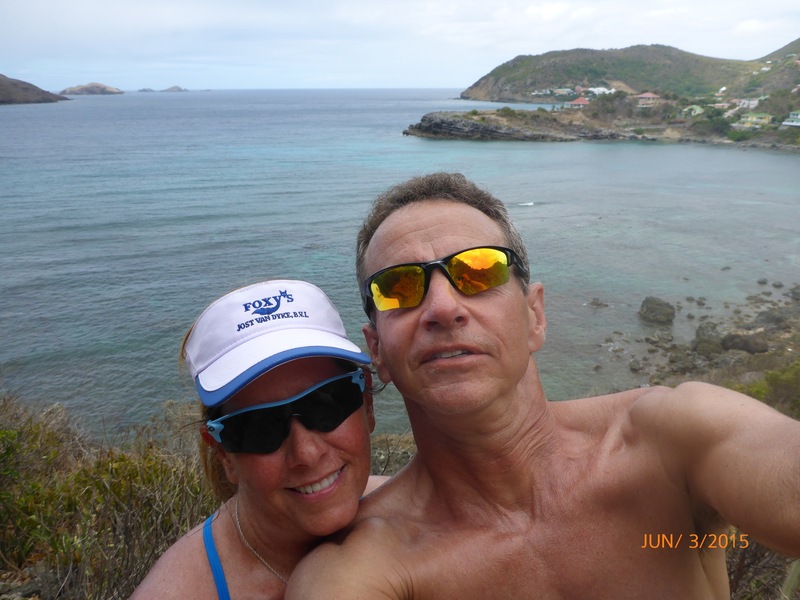 Last June we spent time on the French side of St. Martin, so this time we went over to the Dutch side, that is Sint Maarten. We had our first bridge crossing into the lagoon. I was at the helm and at first I was nervous about the width of the boat versus the bridge, but we had plenty of clearance. We had plenty of clearance, but not so much that I could take a picture while passing through. 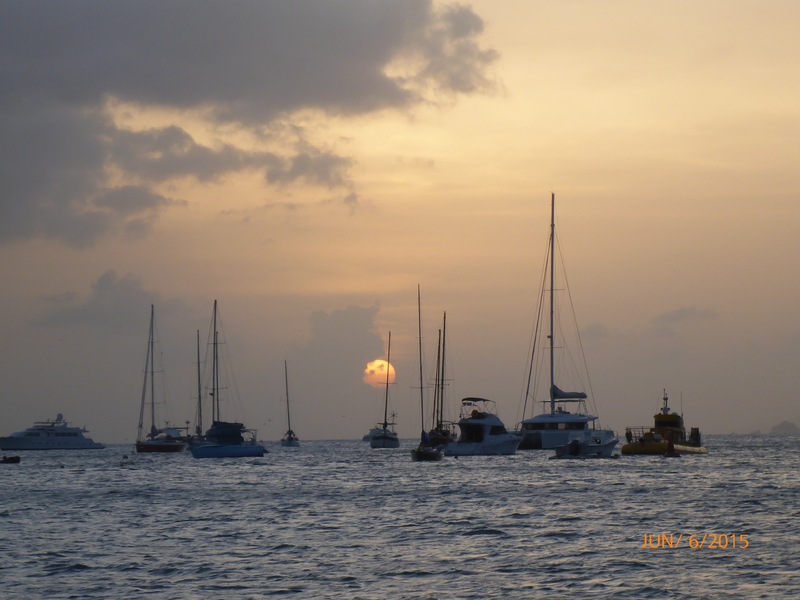 I don’t know why, but Sint Maarten draws a large number of h-u-g-e yachts. 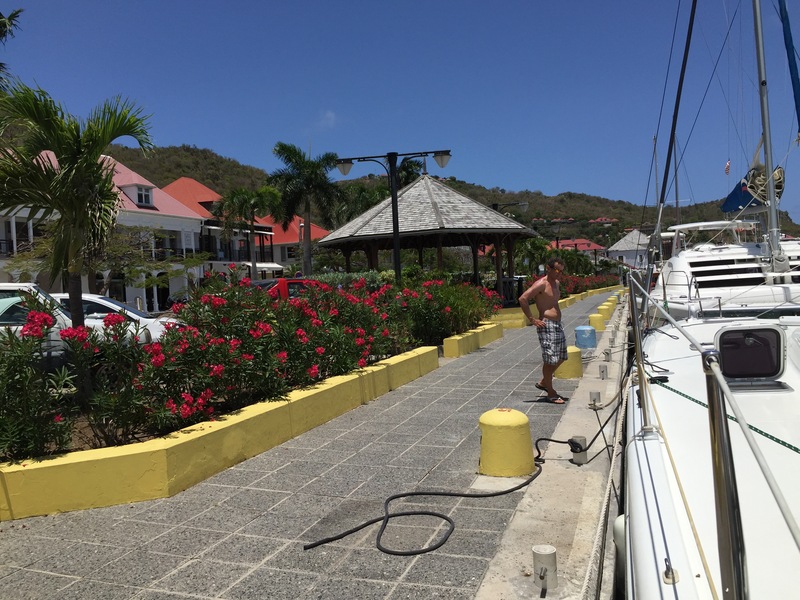 We enjoyed dinghy-ing around the marina and seeing the mega-yachts. Pretty sure this tender is larger than our ski boat was! I especially liked watching the big yachts enter and leave through the bridge. Fun to watch and celebrate NOT being at the helm! We had an opportunity to meet up with David and Amy of Starry Horizons again, which is a big treat for us. We also reconnected with Shane and Sara of Dream Chaser, whom we had met last spring in the BVIs. Who knew I would become so fascinated with how others store provisions, plates, spices etc., much less want to know how they arranged their water maker or forepeak compartments. Life aboard has caused changes in me already! 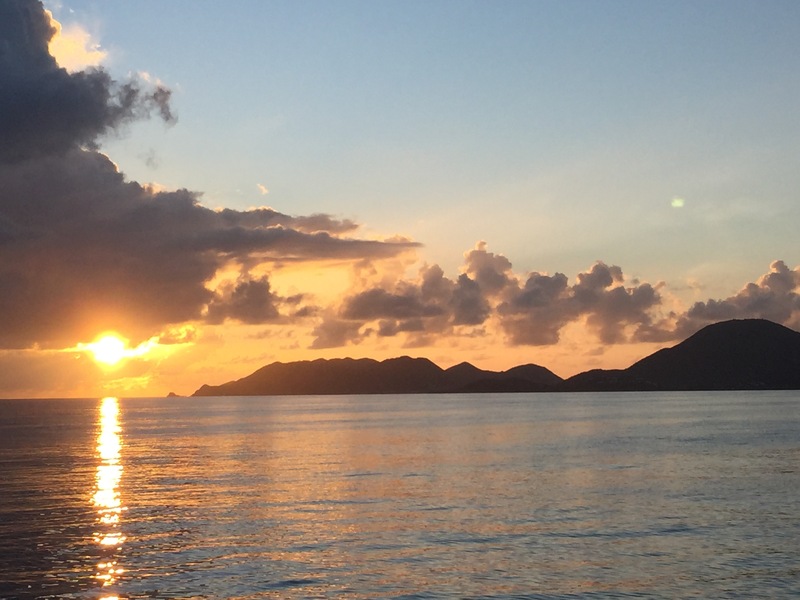 We have shared sundowners with a few other cruisers and enjoy hearing about their adventures and learning from their experience. Since LIB is a boat, there are always things to be considered or addressed. Recently Frank went up the mast and diagnosed the problem with our anchor light (white light at the very top of the mast) and our deck light (about 1/3 way up the mast and shines on the foredeck). Luckily the only issue was two burned out light bulbs which we were able to buy at Island Water World. Now LIB is visible at night with her anchor light shining brighter than ever before. 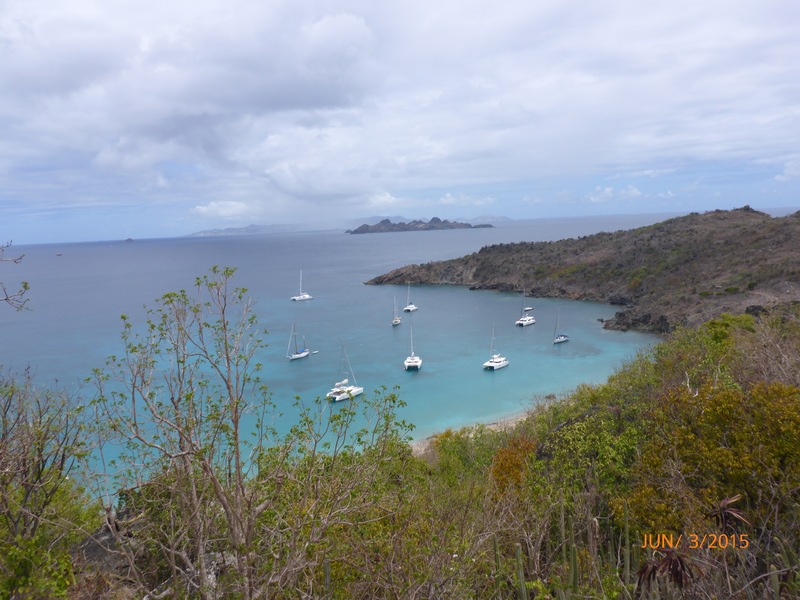 The view from the top of the mast is too pretty not to photograph…. Looking outward toward the mega yachts. Looking down on LIB and Day Tripper. 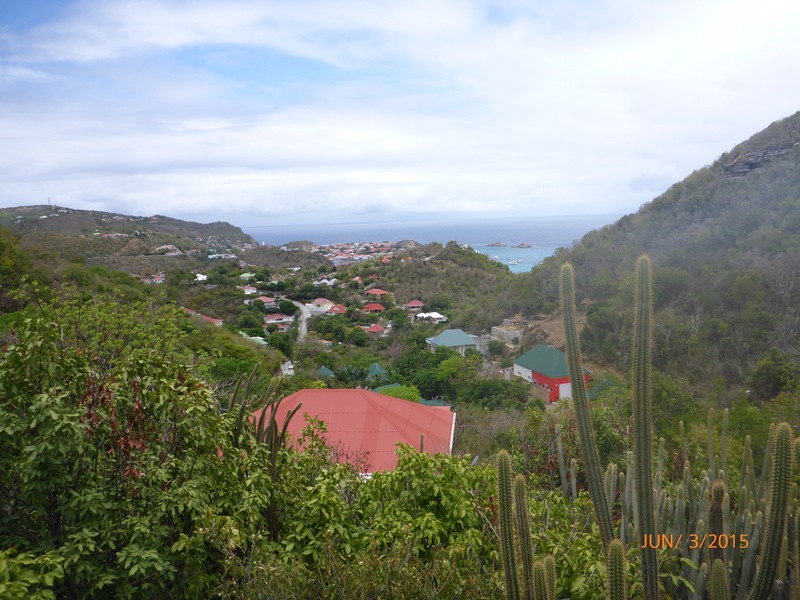 St. Martin/Sint Maarten is popular with tourists which is evidenced by the tours we saw daily. 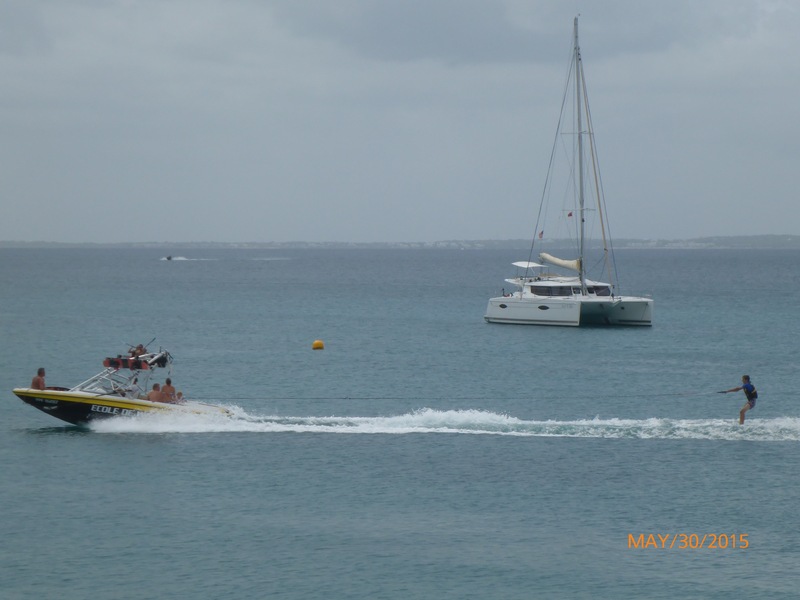 The two most popular tours on the water appear to be kayaking and mini- dinghy parading. Captain kept a close eye on every dinghy parade! 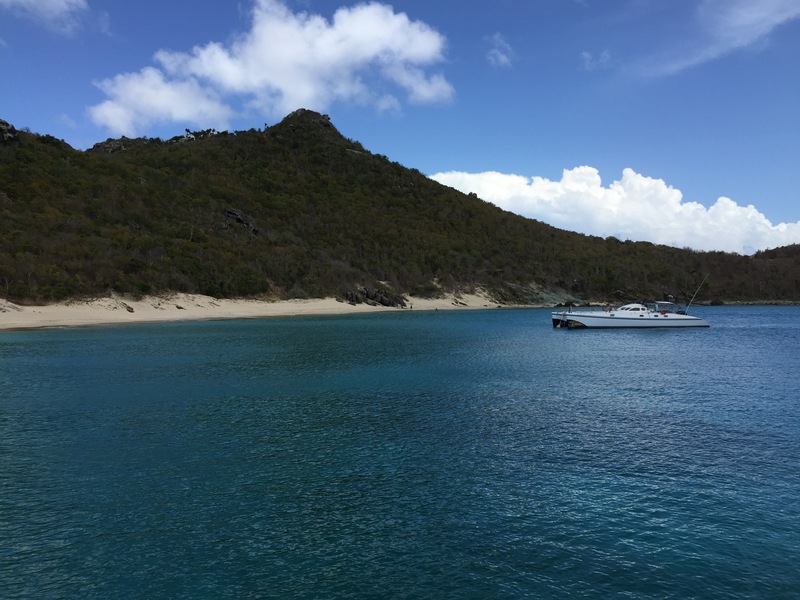 After spending almost a week in the Lagoon, we exited and moved to Grand Case, a French bay on the western side of St. Martin. Grand Case is quaint and full of restaurants, but the dinghy dock stinks! We spent Christmas Eve with Shane and Sara of Dream Chaser including a leisurely dinner at La Villa. The food was delicious, the service was excellent and the company terrific! A very nice treat. Christmas Day was a quite different this year and we missed being with our sons. We had a chance to talk with family which helped make the day much happier. 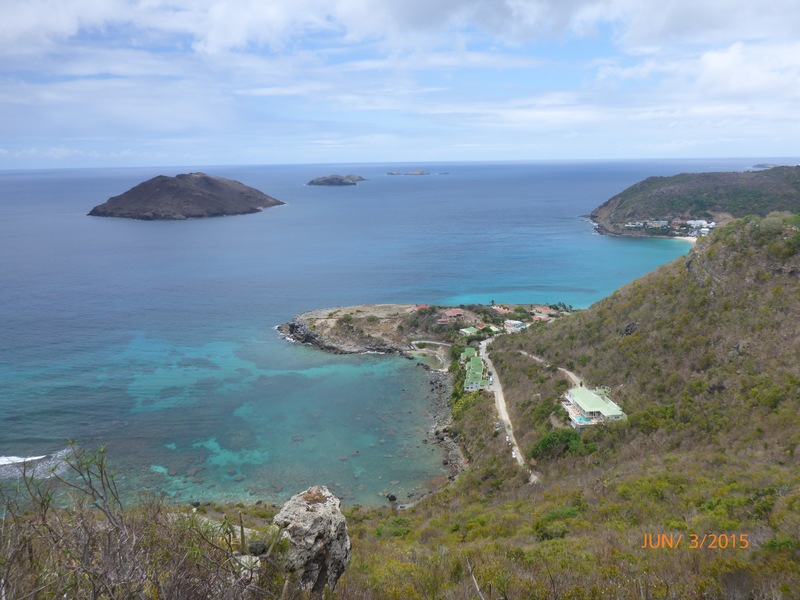 We toured St. Martin by car and enjoyed the views looking out from land instead of in toward land. And even though we missed our kids, we consider ourselves truly blessed to have this adventure on LIB. Lest some readers be concerned, Frank has had a chance to kite a couple of times while in St. Martin as the wind has been “nuking.” Frank took me with him to kite one day and sadly I am still not proficient. However, I am determined to succeed and I am confident I will conquer the sport very soon! 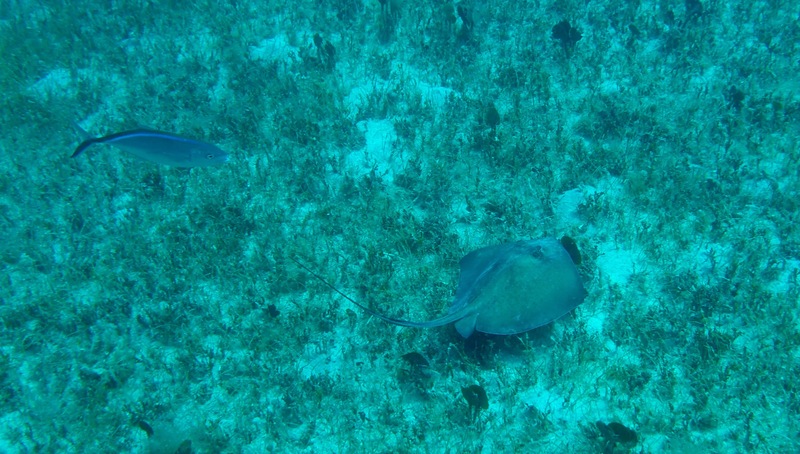 Fair or not, St. Martin will not be remembered as my favorite place, at least from this trip. 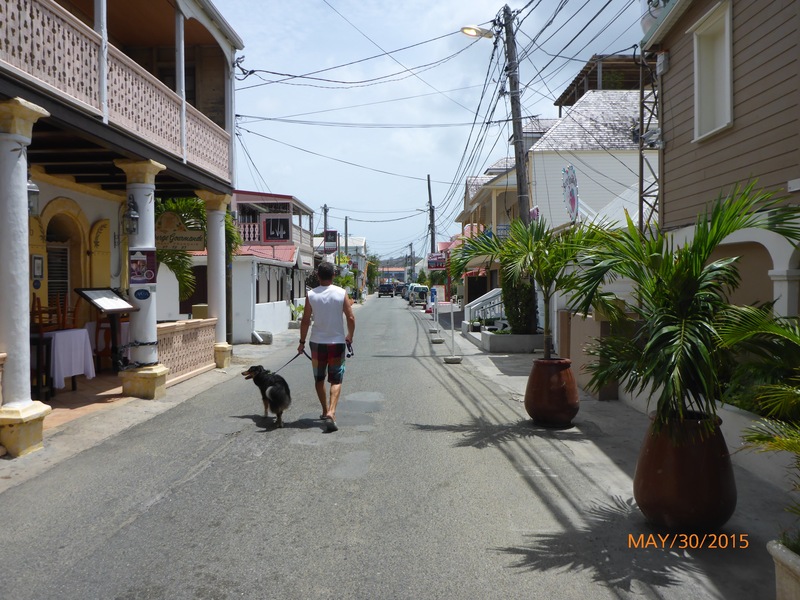 While the island is beautiful, I was sick the whole time we were on St. Martin, thus my impressions are negatively colored. 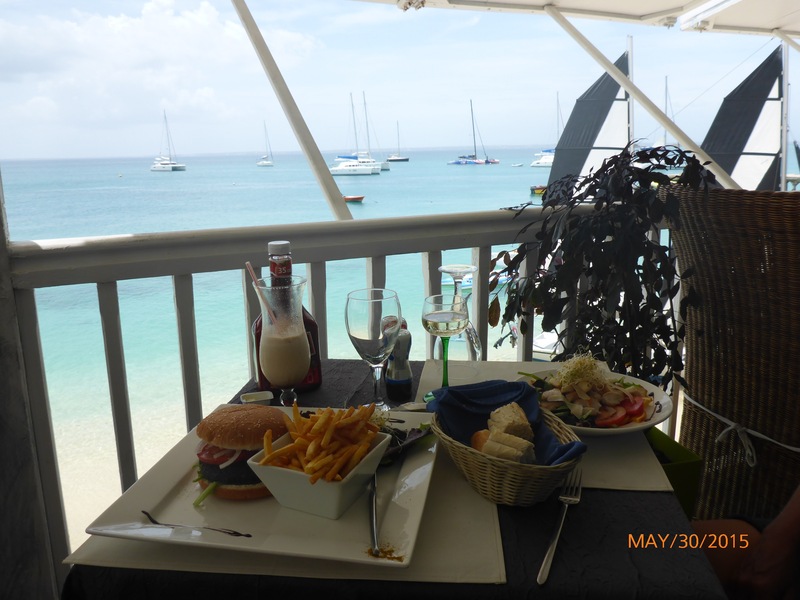 This trip we really only experienced the French side of St. Martin. Still even when sick, this is a beautiful place and we did manage to see some rather lovely spots. 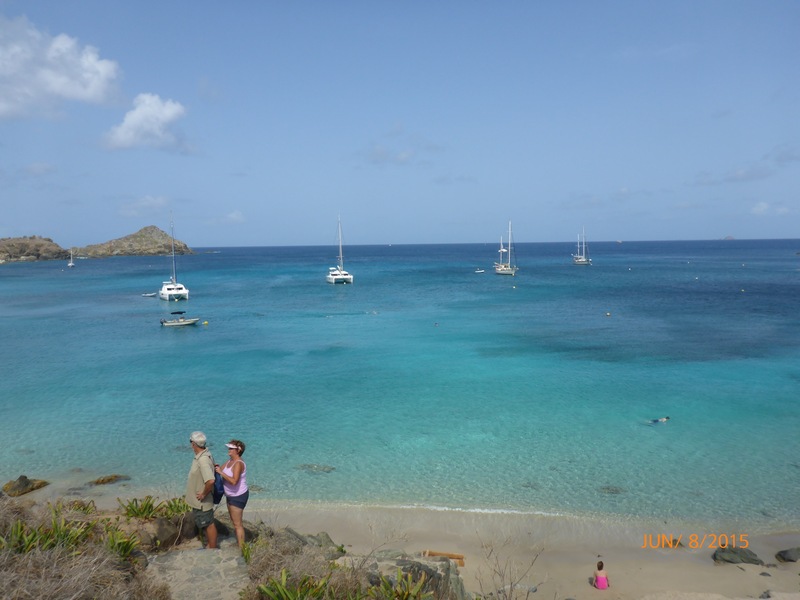 I am certainly interested in stopping here again later this year as I am certain St. Martin will be even more fun when I am feeling better. 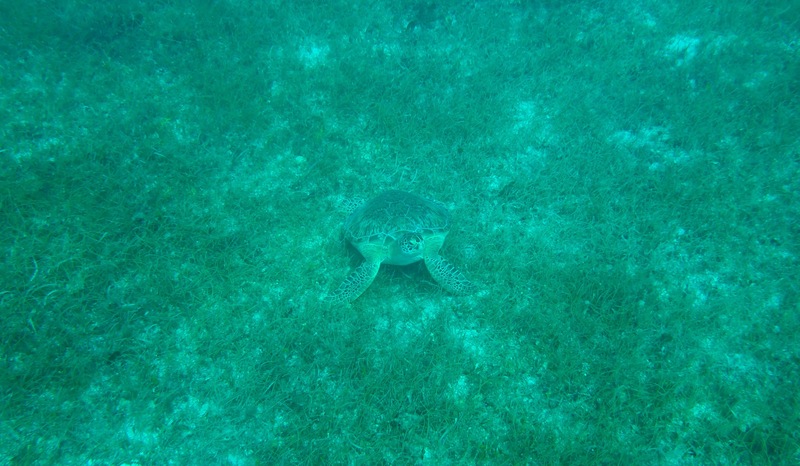 For now, here are some photos to show you some of the beauty of the areas we visited this time. 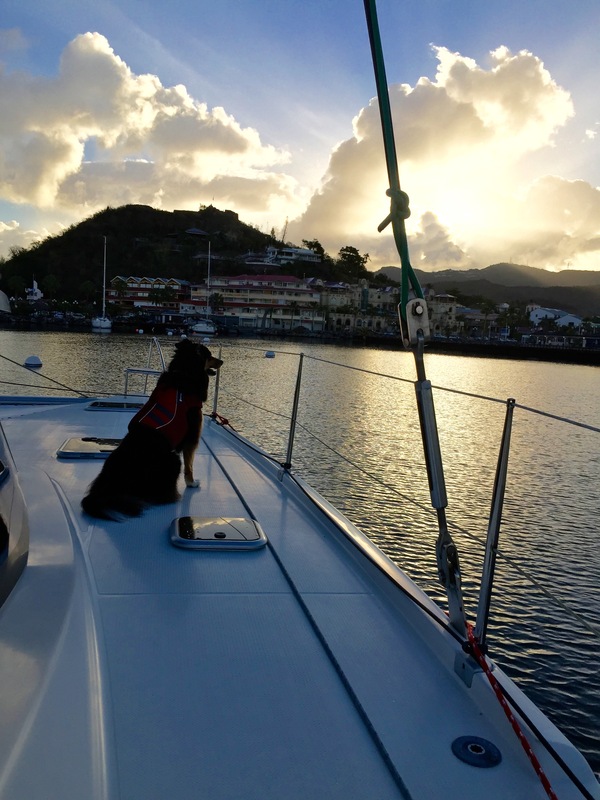 Arriving in St. Martin at dawn….. Captain is ready for land! Exploring pretty little ocean side towns by foot. Stopping for lunch and watching the Ski School teach with LIB in the background. 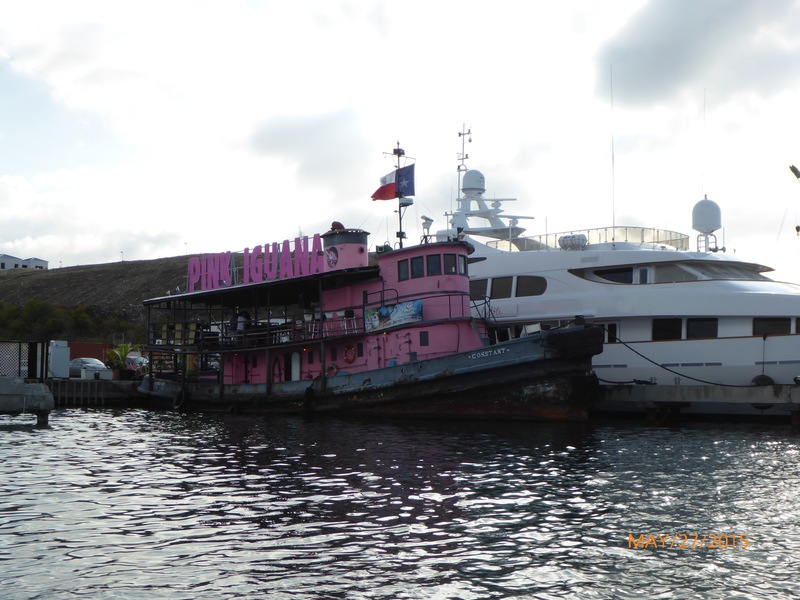 How about the Pink Iguana – with the Texas flag to represent?! There is so much more to share, but my internet is very limited and I had a hard time loading this much. With luck, we will have better internet and I can post more often.